MCC's Ethernet-based data acquisition solutions are ideal for portable or distributed applications. E-1608 offers low-cost multifunction analog and digital I/O. WEB-TEMP and WEB-TC modules feature a web server/web page interface allowing temperature monitoring from anywhere there is an internet connection and the IOTech 6000 series provide instrument class DAQ. These are now joined by the flexible SC-1608-2AO-ENET, the E-TC and TC-32 for Temperature, and the Digital E-DIO24 providing an Ethernet solution for most of your DAQ needs. 21st September 2016 – Firetail DAQ is moving to Western Australia! Firetail DAQ and Measurement Computing announce the arrival of a whole new level of data acquisition performance at an unprecendented new low price with the USB-200 series USB based data acquisition modules. Firetail DAQ data acquisition and logging products Australia distributor of market leading low priced high performance DAQ today announced the release of two new USB based data acquisition modules, the USB-1208FS-Plus and the USB-1408FS-PLUS. A key feature of the new mulifunction modules is the introduction of DAQFlex support to enable MAC and Linux users to gain access to great value, high performance data acquisition products. The USB driver has also been redesigned to be more efficient to reduce PC resource use. An other feature is the high current capability of one the two eight bit Digital IO ports. Melbourne, Australia – December 31, 2012 – Firetail DAQ, data acquisition products Australia, today announced the launch of their new website. The website goes live in January 2013 and can be found at: www.firetaildaq.com.au. 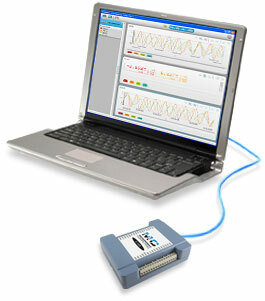 Melbourne, Australia – November 6, 2012 – Firetail DAQ the Australian agent for Measurement Computing, the value leader in data acquisition today announced the release of the WiFi-501-TP temperature data logging sensor. Melbourne, Australia - October 1, 2012 – Firetail DAQ the Australian agent for Measurement Computing, the value leader in data acquisition, today announced the release of the Guide to DAQ Signal Connections. Melbourne, Australia - August, 28, 2012 – Firetail DAQ the Australian agent for Measurement Computing, the value leader in data acquisition, today announced the release of USB DAQ device support for Android-based tablets. Melbourne, Australia – August, 16, 2012 – Firetail DAQ the Australian agent for Measurement Computing Corporation, the value leader in data acquisition today announced the release of the WiFi-502 temperature and humidity data logging sensor.